I have a confession to make. I hate pancakes. Really, really hate them. I always have. I think it's the consistency. Once they have syrup on them, they turn into mush and that's sooo not appealing to me. I make them for my family because they love them and I always end up eating something else. But I admit, I cook a dang good pancake. It's all about the flippin' timing. So when I won a prize pack from Shirley J that included a can of their Buttermilk Pancake & Waffle Mix, I decided to show you my mad skills. I normally make my pancakes from scratch, but this mix was so easy. Just add water? I'm down! Don't mix the batter so much that the lumps are gone. 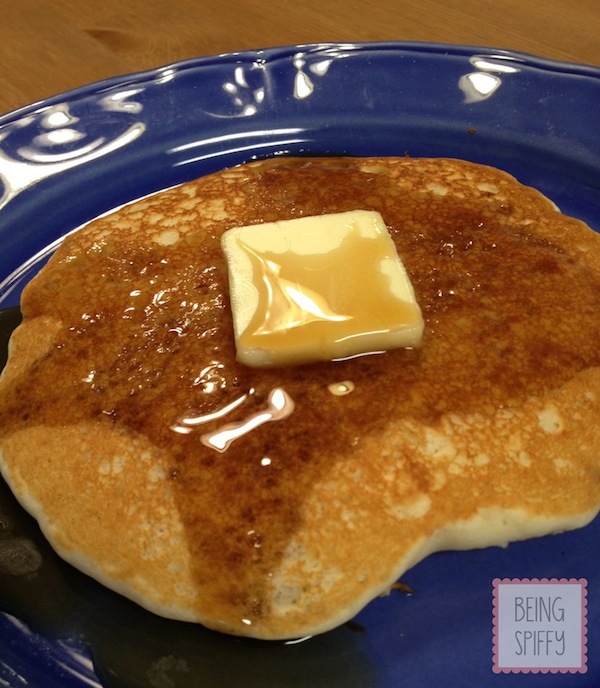 Overmixing creates too much gluten, which creates a dense pancake. 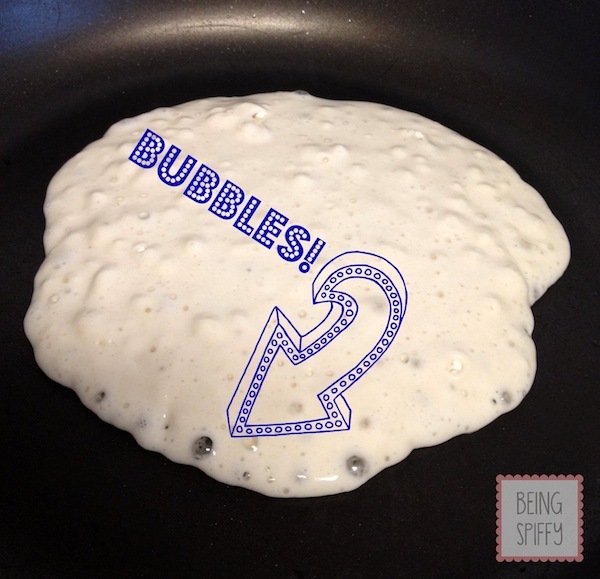 To tell if your pancake is ready to turn, the key is in the bubbles. Once bubbles start to form and pop around the edges, you know they're ready to turn. Believe it or not, this is my plate and I finished it! I really enjoyed it. My family did too. I asked them which they liked better, mine or Shirley J's. All of them answered the latter. Homemade schmo-made, I'm going with Shirley J from now on!